In three packages: Whole Tail, Half Tail, mixed packet of 6 popular colours. 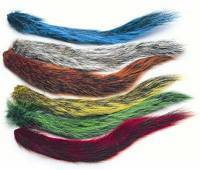 Whole tail in white or dyed colours or a mixed packet of 6 popular colours. 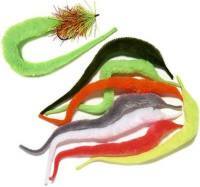 These fluffy tapered tails offer superb swimming movement when in water, great for large predator patterns, easy to tie. 5 pieces of popular colours of this versatile material.